One of the primary responsibilities of being a parent is to make sure your children are safe and sound in the world around them. However, when your child struggles with a medical condition or behavioral or educational concerns, the everyday issues of life and parenthood can become overwhelmingly magnified. How do you deal with the challenges of parenting a child who has special needs? Where can you find help to create a loving environment that is productive and secure? With more than twenty-five years of experience as a teacher and the parent of a special needs child, author Jolene Philo offers you guidance and encouragement. 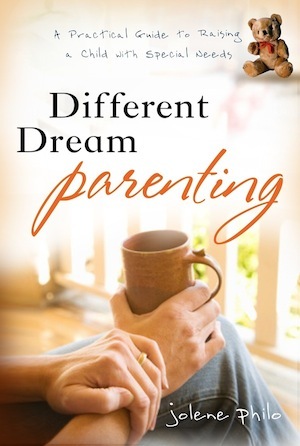 In Different Dream Parenting, youll find biblical insights and practical resources to strengthen you in your walk with God and equip you for the journey ahead. Addressing a variety of situations and providing tools to help you work through them, she prepares you to become an extraordinary advocate for your child. Discover how you can move from chaos to calm and experience the joy of being your childs biggest and best supporter.